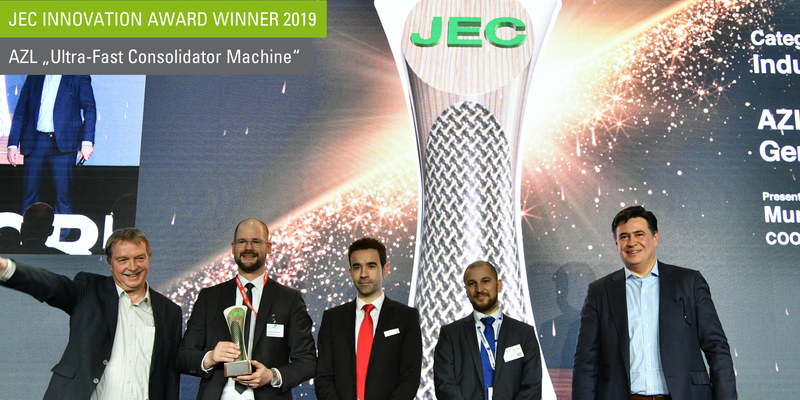 This year, AZL won the JEC AWARD 2019 for the development of the new machine system “Ultra-Fast Consolidator Machine”. 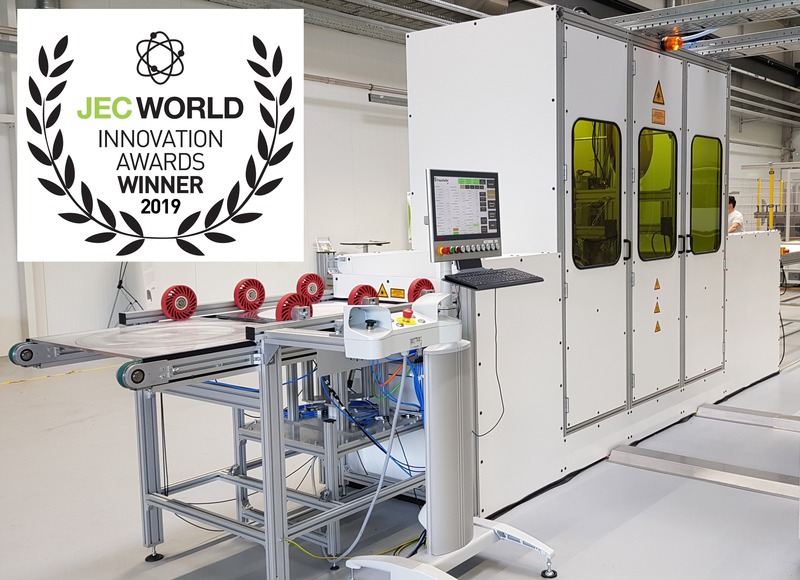 The innovative machine system is a result of an 18-months AZL Joint Partner Project, conducted in 2017-2018 by the research partners AZL Aachen and Fraunhofer IPT Aachen, in cooperation with industrial partner companies including Conbility, Covestro, Engel, Evonik, Fagor Arrasate, Faurecia SE, Laserline, Mitsui Chemicals, Mubea Carbo Tech, Philips Photonics, SSDT and Toyota (in alphabetical order). The new UItra-Fast Consolidator Machine offers both high flexibility and mass production of tailored thermoplastic laminates with reduced scrap. Fully consolidated multi-layer laminates with different fiber directions and minimized scrap (tailored blanks) can be produced in cycle times below 5 seconds with this new scalable machine setup. This individualized mass production is accomplished by a combination of laser-assisted tape placement with in-situ consolidation and a piece-flow principle, which is state of the art in the printing industry but has not been used in such a way within composite production.The system will be commercialized by some of the industrial partners in 2019. The real machine setup has been presented at the AZL booth during the JEC Exhibition in Paris 2019. The follow-up project has just started and is still open to join for industrial partners.